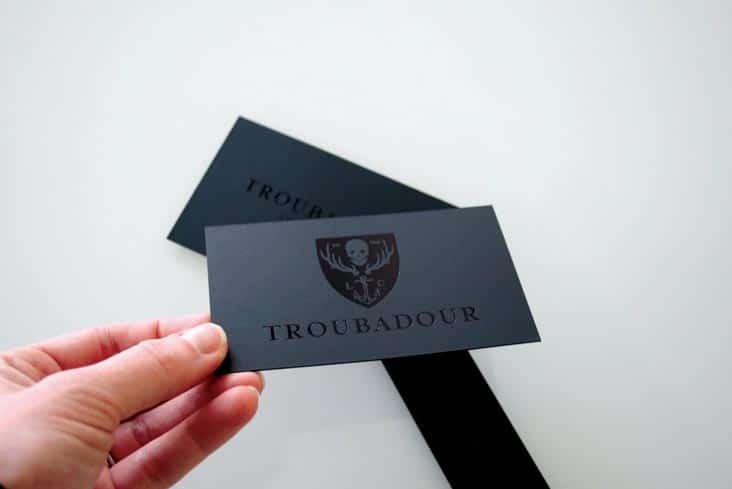 Business Cards & Hang Tags « Stitch Design Co.
To pick up from where we left off on Wednesday, we’d like to share the Troubadour business cards and hang tags with you. 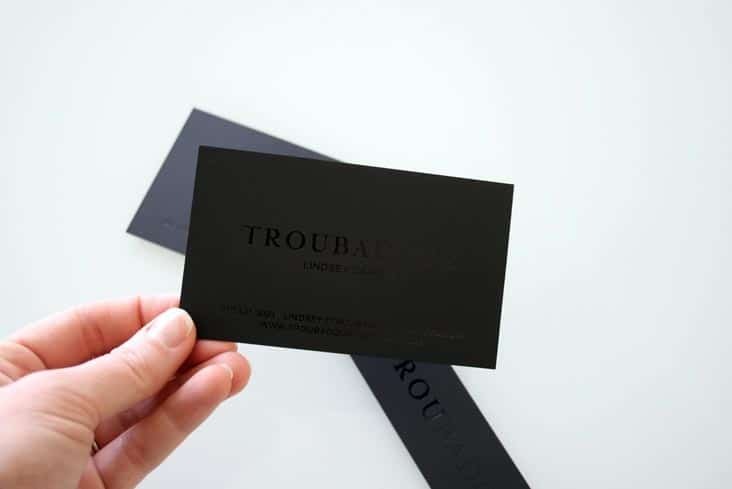 Both are printed on black Curious duplex cardstock with clear foil. 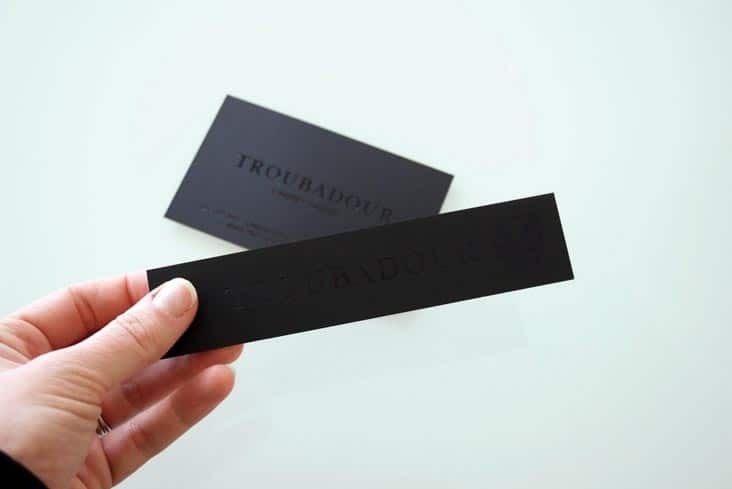 The business cards and tags are over sized emphasize the subtle printing process of the clear foil. 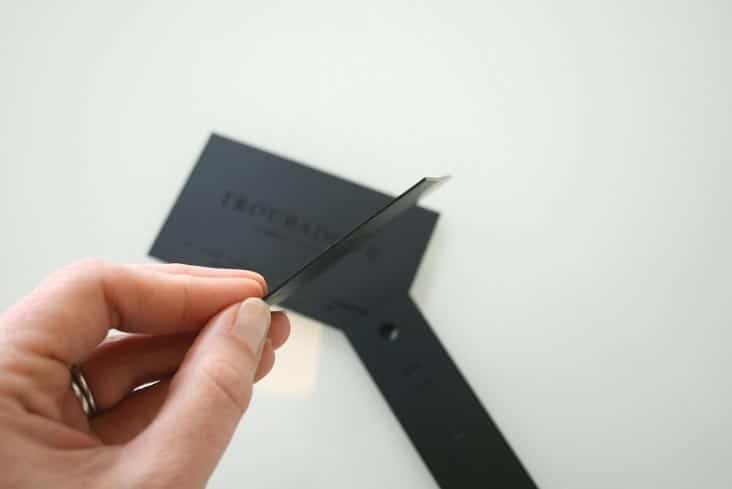 The thick shiny foil against the rubbery soft paper feels great in your hand.